Medical marijuana is legal in Arizona, but don't expect grow houses and dispensaries to pop up in your neighborhood overnight. Phoenix recently approved several zoning changes that will restrict where dispensaries and other medical marijuana related uses can go in the city. 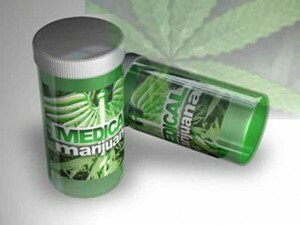 Those hoping to get into the medical marijuana-business will have to comply with rules the Arizona Department of Health Services is formulating, which dictates who can prescribe and receive a prescription for medical marijuana and how to ensure facilities are secure. Phoenix Planning and Development Services Director Debra Stark said about 55 percent of voters in the city supported the medical-marijuana initiative. Stark said the city tried to strike a balance with its zoning laws that would be strict enough to protect the community and neighborhoods, but not too strict that they wouldn't be allowed in the city at all. Retail sales/dispensaries: Where patients can purchase medical marijuana. Sales will only be allowed in C-1 and C-2 zoning, which are generally strip malls and commercial retail centers. This covers many of the city's major intersections and streets. But that doesn't mean every neighborhood shopping center will be overrun with medical-marijuana facilities. The state has put a limit on dispensaries allowed in Arizona. The rules allow for one dispensary for every 10 pharmacies, so Arizona will have about 125 dispensaries statewide. Grow facilities: Where marijuana will be grown or cultivated to supply dispensaries. In Phoenix, grow facilities will only be allowed in areas zoned for heavy industrial or agriculture (S-1, S-2, A-1, A-2). Most of these land uses are in south Phoenix or far north Phoenix. Though, Stark said Phoenix does not expect many grow facilities in the city. Infusion: Where marijuana is blended into balms, lotions and food. While baking brownies may seem like a benign task, Phoenix is considering it manufacturing, so infusion facilities will be limited to heavy industrial areas (S-1, S-2). South Phoenix has much of the zoning available for grow facilities, but Stark said medical marijuana will likely be cultivated in northern Arizona where the temperatures are cooler. Growing in the Phoenix summer could prove to be expensive as green houses and other facilities would require a lot of electricity to regulate temperatures. Any medical marijuana related industry in Phoenix will have to get a $1,380 use permit from the city. Of the largest cities in the state, Phoenix is one of the few that is requiring a use permit. Mesa, Scottsdale and Tucson are looking at or have adopted regulations that allow the facilities as a "use by right," which means they don't need permits but must follow the cities' distancing and zoning regulations. Eric Johnson, founder of The Healing Phoenix, said he plans to open a dispensary in the Encanto area, where he hopes to serve the gay community. He said the city's zoning regulations for medical marijuana is a "perfect compromise" for neighborhoods that don't want dispensaries "showing up in their backyard" and those who will be medical-marijuana facilities to serve patients. "Finally, patients get to have the medication that they deserve," Anderson said.